PHOENIX — Arizona has announced plans to purchase new school buses using $15.9 million of its Volkswagen (VW) settlement funds. The plan for the first round of awards from the $38 million plan was approved on Dec. 6, according to a news release from Gov. Doug Ducey's office. It includes the purchase of 142 new diesel and alternative-fuel school buses for 55 school districts and charter schools. This accounts for about 25% of the state's total $57 million share of the VW Environmental Mitigation Trust. As SBF previously reported, Gov. Doug Ducey released the school bus replacement plan in June. 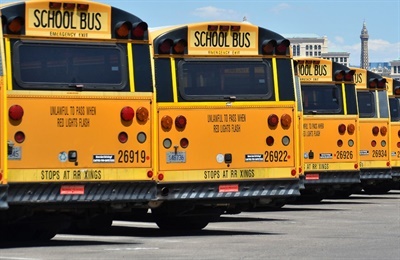 The plan includes the purchase of an estimated 280 school buses in low-income communities across the state, replacing school buses that are at least 15 years old and have more than 100,000 miles. The plan also includes the allocation of funds to school districts with 60% or more students eligible for free and reduced price lunch and to the Arizona State Schools for the Deaf and Blind. So far, the state has received 118 applications to replace old school buses, resulting in requests for 362 buses at a cost of $40.4 million. State officials are continuing to review applications and are working with applicants to secure additional documentation. A second round of awards is expected to be announced in the near future. See the list of applications awarded here. Excellent news, great step forward for the children! Is there any information available for the operational savings for the school districts for this step forward? I've seen some significant annual savings posted in a press release by Blue Bird Bus powered by Adomani in partnership with EDI which is now owned by Cummins. Their are more benefits to the school districts that should flow towards the education system. Follow up information on these savings is essential to keep this moving forward.